Miami, FL – July 26, 2017 – The Global Wellness Summit (GWS), an invitation-only conference for the $3.7 trillion global wellness industry, today announced the appointment of three new members to its Advisory Board. They include Omer K. Isvan, president of Turkey-based Servotel Corporation; Tony de Leede, the owner and founder of Australia’s Gwinganna Lifestyle Retreat; and Yoriko Soma, president and CEO of Japan-based Conceptasia. 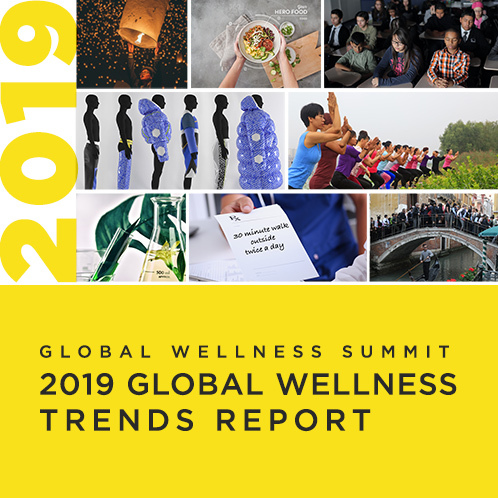 “I’m thrilled to welcome each of these new Advisory Board members – all of whom bring powerful expertise and a crucial regional perspective on the sectors that make up the global wellness industry,” said Susie Ellis, Chairman and CEO of the Global Wellness Summit. “With these appointments, the Summit expands its representation in Asia, Australia, Europe and the Middle East. Isvan is a powerhouse in tourism and hospitality investment with a career spanning 30 years, and projects in over 40 countries. He currently leads Servotel Corporation, which is widely recognized as one of the leading advisers in the investment and development of hotels, resorts and integrated mixed-use developments worldwide. ”I look forward to working closely with members of this pioneering board, and furthering the development of the Global Wellness Summit by bringing to it to it my experience of integrating wellness into travel, hospitality and real estate development,” said Isvan. De Leede is an extraordinarily successful fitness pioneer, having built Australia’s biggest fitness empire, Fitness First, and is now a renowned wellness resort entrepreneur who co-owns a range of wellness hospitality businesses, including not only the award-winning Gwinganna but also the very on-trend surf wellness brand, Komune. Soma began her career at the Boston Consulting Group in Hong Kong, focusing on the luxury consumer market and has participated in multiple resort, destination and day spa projects in Asia. She now runs a major investment fund for Asian spa and wellness businesses. The three new members are part of a 13-person advisory board to the Summit that includes wellness experts from across the globe. The full advisory board can be seen here.